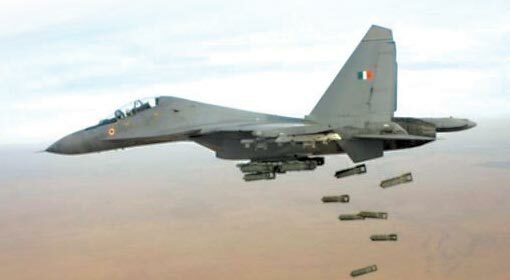 New Delhi: “The Indian Navy must be vigilant and ever-ready to face any challenges”, said the Defence minister Nirmala Sitharaman. She appreciated and expressed her satisfaction on the performance of the Indian Naval forces. During her address at the “Naval Commanders’ Conference”, she assured of efforts to soon mitigate the shortcomings currently faced by the Navy. During the conference, a new mission to maintain round-the-clock surveillance in the Indian waters was also announced. Indian Navy is constantly putting efforts to enhance its capabilities and readiness. Accordingly, Indian Navy has undertaken joint military exercises with various countries. The annual Malabar exercise with Japan and US, as well as other successful military exercises have enhanced the capabilities and readiness of the Navy. 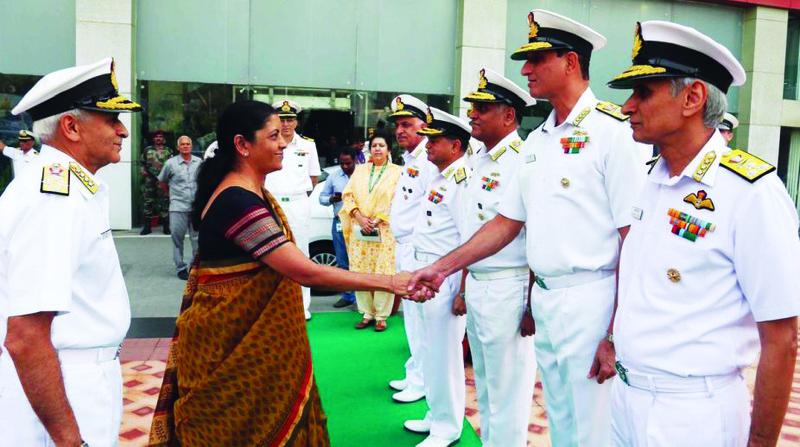 The Defence minister lauded the Navy for its efforts on the various military drills. 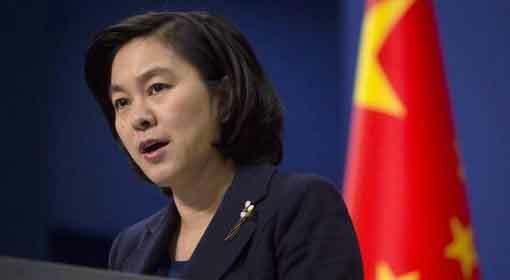 She also acknowledged the deployment of war-ships and submarines in the South China sea, sea of Japan, Persian gulf, Atlantic ocean and the sea near Australia. Complimenting the Navy for these achievements, she emphasized the need for remaining vigilant and ever-ready to face any challenges in the future. Defence minister Sitharaman also took note of the critical capability shortfalls that the Navy is facing in ship-borne multi-role helicopters, conventional submarines and mine counter measure vessels. She assured that that these issues were being given due impetus and efforts were in hand to mitigate these shortcomings at the earliest. Meanwhile, to counter the growing activities of a strong nation like China in the Indian Ocean, the Indian Navy has announced a new plan to maintain its superiority in the region. 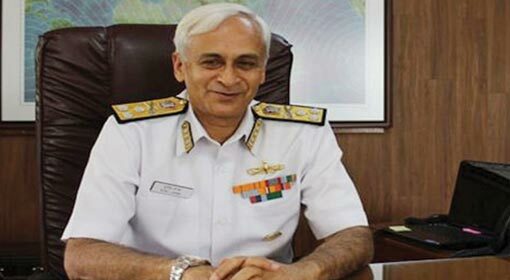 The announcement of this new plan was made on Wednesday in presence of Indian Navy Chief Admiral Sunil Lamba. As per the new plan, Indian Navy would maintain round-the-clock surveillance on critical choke points and sea lanes of communication in the Indian Ocean region with deployment of warships, patrol-ships and naval aircrafts. About 14 to 15 warships shall remain deployed for about a year on these critical lanes. The patrol-ships shall maintain a constant vigil on the sea-routes leading to Strait of Malacca, Andaman and Lakshadweep, Bangladesh, Myanmar, Madagascar and Gulf of Persia. The warships shall be ever-ready to be deployed for any mission. 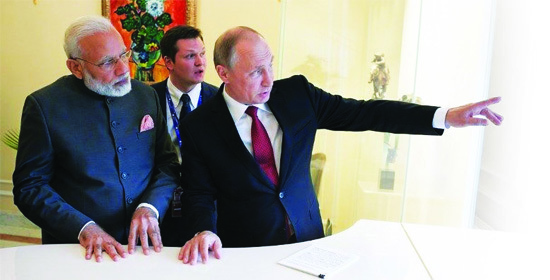 Surveillance of this critical sea route would be now be done with help of GSAT-7 satellite. The Naval Commanders’ Conference was attended by Army chief Bipin Rawat and Air Force chief B. S. Dhanoa. Discussion on safety measures to overcome the recent accidents of warships and submarines were also conducted. The Indian Navy plans to increase the number of warships in its fleet. This would enhance the strength of the Indian Navy. Currently, the Indian Navy commands 138 warships and 235 airplanes and helicopters. Navy plans to increase the number to 212 warships and 450 airplanes and helicopters as informed by a senior naval officer.